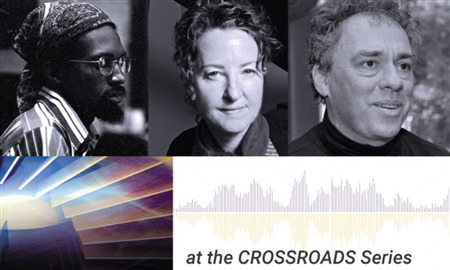 In our "at the CROSSROADS Series," we celebrate together the work of legacy composers alongside cutting-edge voices from across generations: By meeting at these generational crossroads we reveal how the latest works are grounded in timeless questions. Inspired by Julius Eastman’s politically powerful and sonically persuasive works "Stay on It" and "Gay Guerrilla," we launch into our cross-generational "at the CROSSROADS Series" with two major commissions. One is a new work by Sidney Corbett, an American composer living in Germany best known for his theatrical and emotionally powerful compositions. Also featured is an SFCMP commission from Bay Area composer, pianist, and improviser Myra Melford, featuring herself as improvising piano soloist with the San Francisco Contemporary Music Players. SFCMP will premiere a new piece by exciting Brazilian-Californian composer Fernanda Aoki Navarro, while LJ White offers his own version of the interplay between freedom and structure in a work for solo violin and electronics. SFCMP also sponsors its 3rd Annual SF Search for young composers—this time writing for trios of players drawn from the instrumental forces for Myra Melford’s premiere—to complete the multi-generational portrait. * Cannon and Strawbridge are the winners of our 2019 SF Search for Scores program; Their pieces were inspired by the life and legacy of Julius Eastman.